Who doesn’t like a slice of delicious pizza? Mmmmm!! Always one of my faves, sadly it was relegated to the annals of “previously loved foods” when I gave up wheat and dairy. 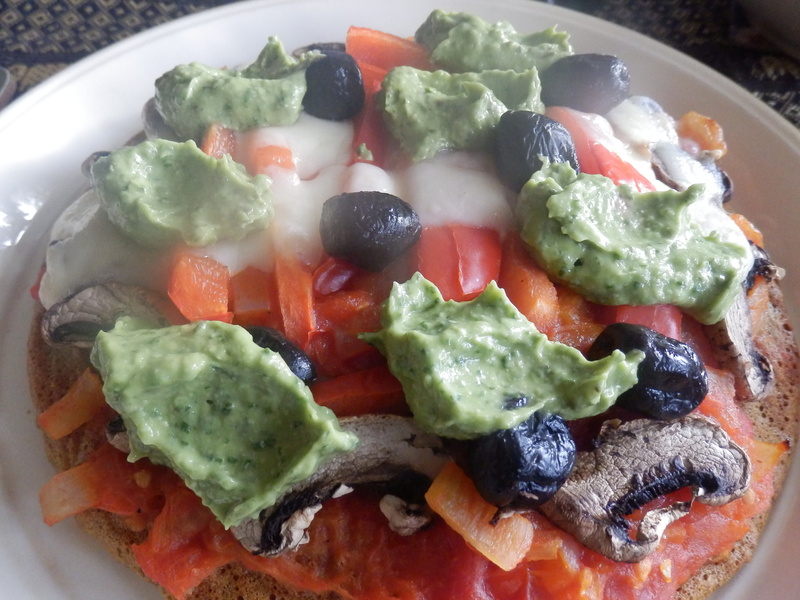 I’ve tweaked the recipe for quinoa pizza a smidgeon and added a few notes plus toppings!! Hope you enjoy as much as we did. I can see that this will lead to lots of variations over the next few months for different “breads” in our household. Makes one 8-9 inch round pizza base. Line a 8-9 inch circular tin with greased baking paper. Bake for 15 mins at gas mark 7 (425F). Remove paper. 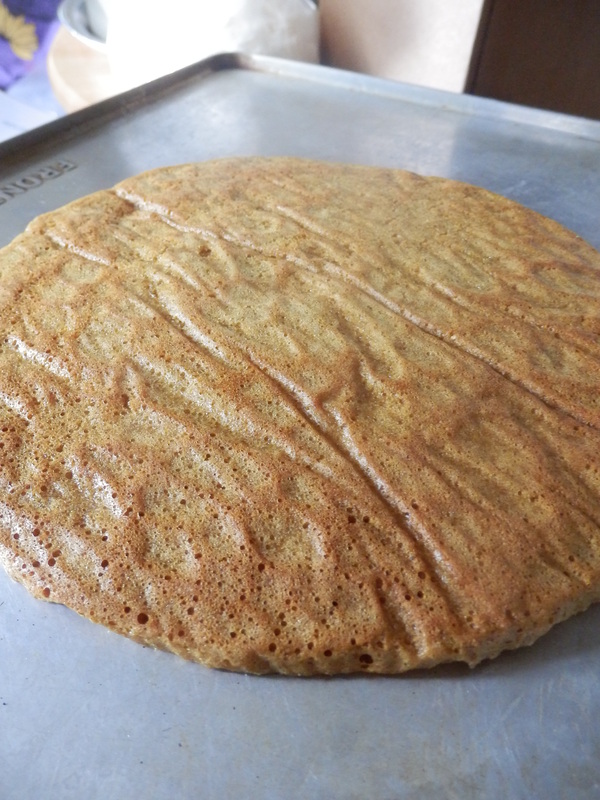 Flip and return to oven for 5 – 10 mins. The base, waiting to be topped!! Cover with homemade tomato sauce (see recipe below) + toppings (e.g. finely sliced mushrooms, peppers). As Don likes cheese, I also finely sliced some sheep’s cheese on half of it. Return to the oven for a little longer to cook the toppings. Finally add some black olives and homemade vegan pesto (see recipe below). Heat the oil in the pan. Add the onions & fry until soft, then add tomatoes and salt. Cook through until thickened. 2 tablespoons nutritional yeast. Adjust to taste. Break down the cavolo nero in a processor, then add all the other ingredients and whiz round until smooth.